Time to continue my thoughts on the books I finished reading in May. 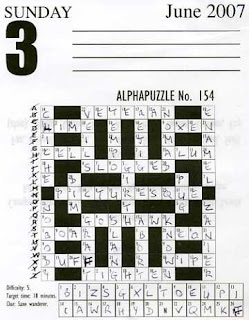 But first I thought I’d write about today’s Alphapuzzle. This is rated 5 (which is out of 10, so an easy one) and the target time for completing it is 18 minutes. The clue is ‘Sane wanderer’, which I didn’t get – so no extra letters to help with the puzzle, but I was really pleased (I’m easily pleased!) that I finished it in 20 minutes, still with no idea about the answer to the clue. It was only when I read all the words that I realised – it was so easy really. Can you guess? To get back to my other obsession – books – still to write about are The Woodlanders and Body Surfing. In what follows I do indicate what happens at the end of The Woodlanders, so if you don’t want to know, be wary. I started reading The Woodlanders (a library book) a few weeks ago and at first I only read it in small chunks and it was only when I was well into it that I read it at more length. It certainly grew on me; so much so that I’ve now bought my own copy. The library book is a Penguin Classic publication (1981) with an introduction by Ian Gregor, a professor in English Literature. I’ve found before that it’s not a good idea to read an introduction before reading a book, as it often gives the plot away, which spoils it for me. So I don’t read it until I’ve finished the book itself. I think this intro is really good, I suppose because I agree with his analysis. My copy is an Oxford World’s Classic (2005 edition) with an introduction by Penny Boumelha, from the University of Adelaide, who has written widely on nineteenth century fiction. I look forward to reading her introduction to see how it compares. He looked and smelt like Autumn’s very brother, his face being sunburnt to wheat-colour, his eyes blue as corn-flowers, his sleeves and leggings dyed with fruit stains, his hands clammy with the sweet juice of apples, his hat sprinkled with pips, and everywhere about him that atmospheres of cider which at its first return each season has such an indescribable fascination for those who have been born and bred among the orchards. … trees, in jackets of lichen and stockings of moss … At their roots were stemless yellow fungi like lemons and apricots … Next were more trees close together struggling for existence, their branches disfigured with wounds resulting from their mutual rubbings and blows … Beneath them were the rotting stumps of those of the group that had been vanquished long ago, rising from their mossy setting like black teeth from green gums. It was an exceptionally soft, balmy evening for the time of year, which was just that transient period in the May month when beech trees have suddenly unfolded large limp young leaves of the softness of butterflies’ wings. Boughs bearing such leaves hung low around and completely inclosed them, so that it was if they were in a great green vase, which had moss for its bottom and leaf sides. Here they sat down. At the heart of the book is the story of Grace, who has been educated out of her social class, returning to the woodlands and the interaction between her, her family and the two male characters, Giles, the woodman and Fitzpiers, the doctor, from an aristocratic background. Also interesting, are the details of the matrimonial law of the time and the portrayal of Victorian conventions of emotional and sexual relationships, so different from today. As Ian Gregor writes, ‘Grace’s concern for her reputation as a married woman, Giles’s self-effacing loyalty, literally to the point of death, strains credulity to the point of irritation.’ I didn’t find it irritating but I did find myself thinking during the section where Grace and Giles keep apart that this was not realistic – but maybe it was. In complete contrast I was also reading Anita Shreve’s Body Surfing. I like Shreve’s books, but I didn’t think this was one of her best books. 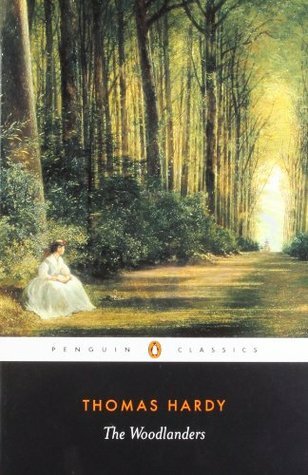 Interspersed with my reading of The Woodlanders, it provided a good illustration of how society has changed, both in attitudes to women and to social conventions. Sydney is a 29-year-old woman, who has been once widowed and once divorced. She spends a summer tutoring Julie, a teenage girl, in an ocean front cottage in New Hampshire. This location is the same setting as other Shreve novels – I feel now as though I know this house and its previous owners. On the porch, red geraniums are artfully arranged against the lime-green of the dune grass, the blue of the water. Not quite primary colours, hues only seen in nature. Knife blades of grass pierce the wooden slats of the boardwalk. Sweet pea overtakes the thatch. Unwanted fists of thistle push upward from the sand. On the small deck at the end of the boardwalk are two white Adirondack chairs, difficult to get out of, and a faded umbrella lying behind them. And finally, this is a book that kept my interest to the end and like The Woodlanders is a book that I’ll re-read one day. I really must read some Thomas Hardy – I’m ashamed to say I never have! I always felt a bit put off by the chunks of dialogue written in hefty dialect – but that’s very superficial of me! There’s not much in this one – just some dialect words now and then – nothing that jarred my reading anyway. I am reading Tess now, and actually I am finding it easy going. I think like Litlove I was always put off, too, but despite the not terribly happy subject matter, I am really enjoying the book. I saw the film adaptation of The Woodlanders, but I do want to read the book as well! I first read Tess when I was at school and didn’t really like it much. As you say it’s not a very happy book. I read it again last year and found it to be much better than I remembered. I also re-read Jude the Obscure. Now that is a miserable subject and I wanted to get hold of Jude and shake some sense into him.